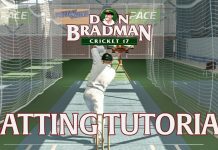 Home Batting Videos Online Cricket Coaching – Batting Tips – Batting Drills – Improve today! Remember, cricket is a unique sport where there is no “one size fits all” coaching method and on the odd occasion there is a player who may make an unorthodox technique work well for them. This video concentrates on the key technical aspects which work well for the vast majority of cricketers.